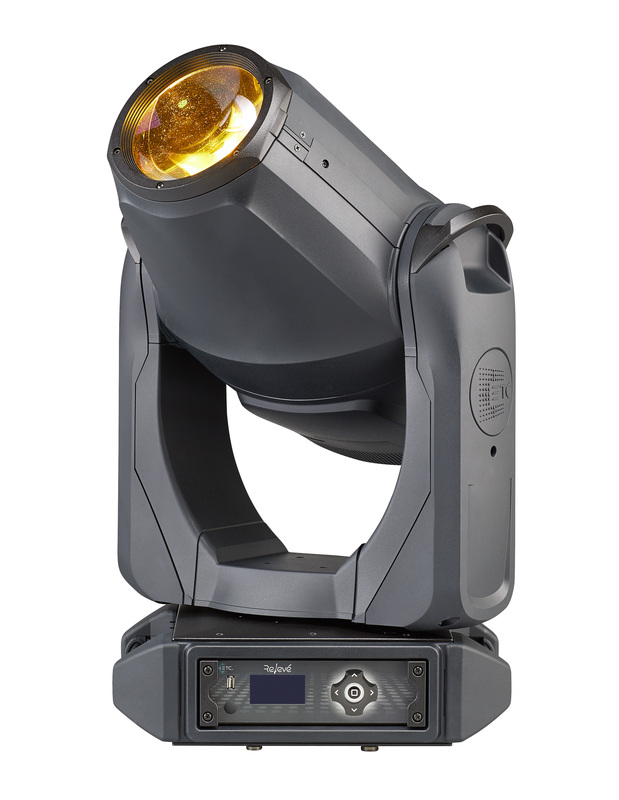 This all-LED fixture boasts an additive color mixing system that creates colors so bright you’ll be blown away. With deep reds, piercing greens, and whiter whites, you’ll have to see it to believe it. In addition to the impressive color and brightness, Relevé Spot houses a dual pattern system for increased pattern projection options. The custom Ani-gobo wheel features a seamless pattern that flows from one graphical element to the next. Using this in combination with the customizable, five-position gobo wheel gives you infinite texturing and theatre-ready effects. In addition, one of the most impressive features is the industry-leading, patentedWhisper Home technology. Relevé Spot enables you set the physical movement limits of each fixture, keeping it from ever having to spin a full rotation at startup or re-homing. Because Relevé Spot never has to move more than 1° to find its home position, it can be installed in tight rail positions, narrow box booms, and other space-restricting locations. Setup a demo and learn more about Relevé Spot, the automated fixture designed for the theatre, at etcconnect.com/ReleveSpot.